I'm trying not to look at too many of the new fabric line posts (True Up blog) because I need to use more of my stash and just buy small pieces for the love of it. I just read a blog where she's going to do a barn quilt, and I'm thinking of getting out all my photos and doing the same. I've been looking in the area for Aurifil in different weights as I use it for piecing, still no luck. I'll have to try online. I bought some Terrain last month that I am dying to use. Too many have to do's before I can get to my want to do's! I am in the process of making my aunt a lap quilt for her 80th birthday in mid-February!!! Gosh I hope that I can make the deadline date!!! Wish me luck! I am excited about the two quilts I am working on at the moment. They are my first whole crazy quilts. One is pink and has a modest feminie romantic look. I am really geared up to work on some unfinished pieces to start off the new year. I am mosst excited about starting a new baby quilt with the Goodnight Moon line. I'm excited about a block exchange I'm in. It is the Japanese + and x block, and they are so much fun to make. I love scrappy! EXCITED TO START A CHRISTMAS GIFT ITEM! IT'S CABBAGE+ROSES FOR A REALLY PRETTY TABLE RUNNER! I am trying to finish a quilt for my niece's dorm room. I am using Terrain and white bella solids. I'm doing the civil war quilt "General's Wives" and actually our first class is tomorrow. Of course I'm starting a new project but I'm making big efforts this year to finish up some (several) WIP/UFO's. I've also signed up to make some diaper covers for charity with Kristy at Hopeful Threads. 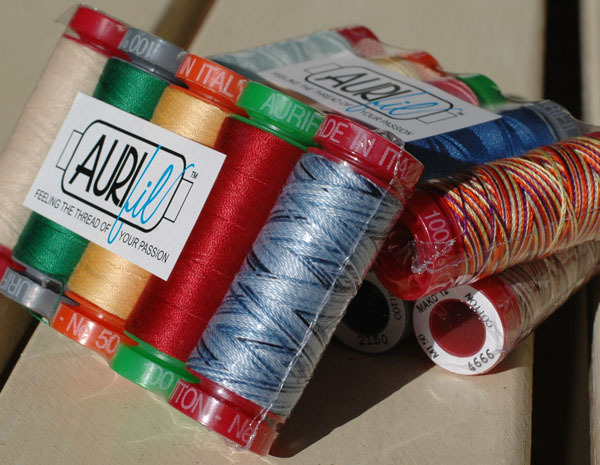 Thank you and Aurifil for an awesome giveaway and a chance to win. Lots of sewing to do and I'd Love to win some Great thread. I'm a Happy follower. Haha.. I got all the way done with my comment, hit publish, then thought "why did Jeanne have Amanda Murphy on the top of the post?". Yep, paying attention. Thanks for the info on the giveaway. 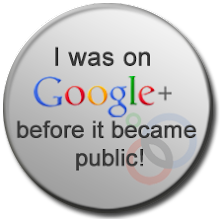 I'm off to post my comment on her blog.